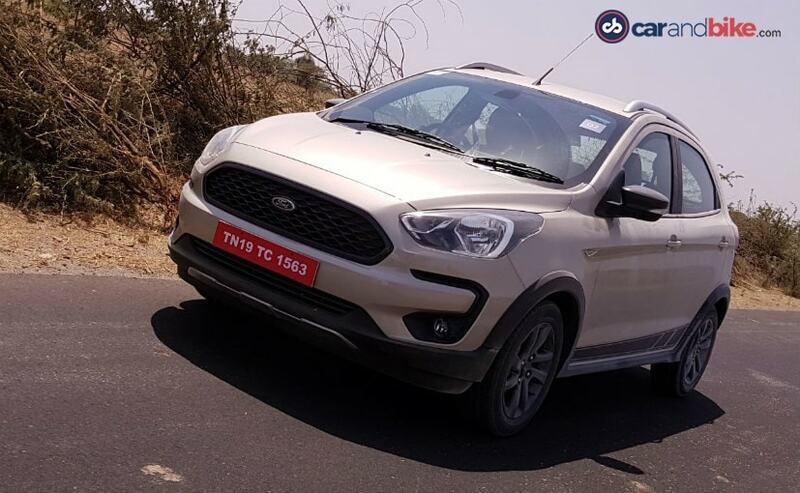 Ford has jumped into the fray with a cross version of its Figo hatchback, albeit with a lot more changes thrown into the mix with the all new Ford Freestyle. 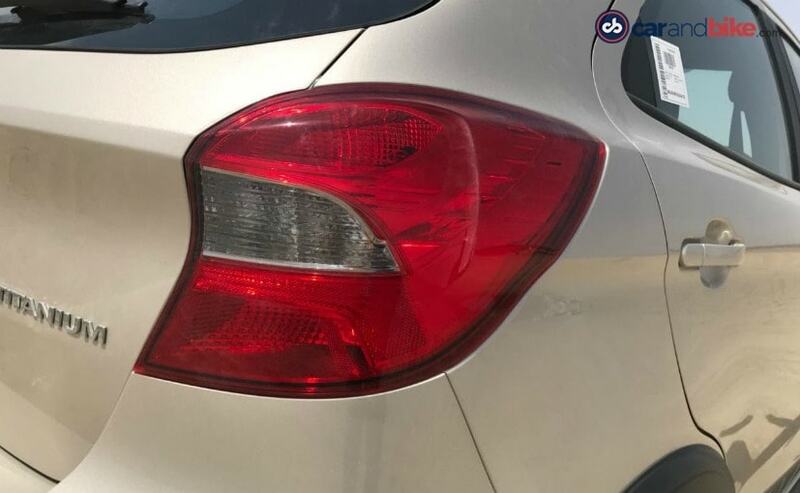 The cross hatchback segment in India is a strange one. On one end of the spectrum you have the likes of the Renault Kwid that do incredible sales figures and on the other you have the likes of the Fiat Urban Cross and Hyundai i20 Active that aren't as hot as we would have expected them to be. And in the middle, we have the likes of the Maruti Suzuki Celerio X, Toyota Etios Cross and the Maruti Suzuki Ignis, all of which have their respective fans and buyers. Strangely, barring maybe the Maruti Suzuki Ignis and the Renault that manage healthy sales every month, none of the other cross hatchbacks have actually made much of an impact in the Indian automotive scene, which considering the fact that the Indian market loves its plastic cladded sub-compact SUVs is rather strange. 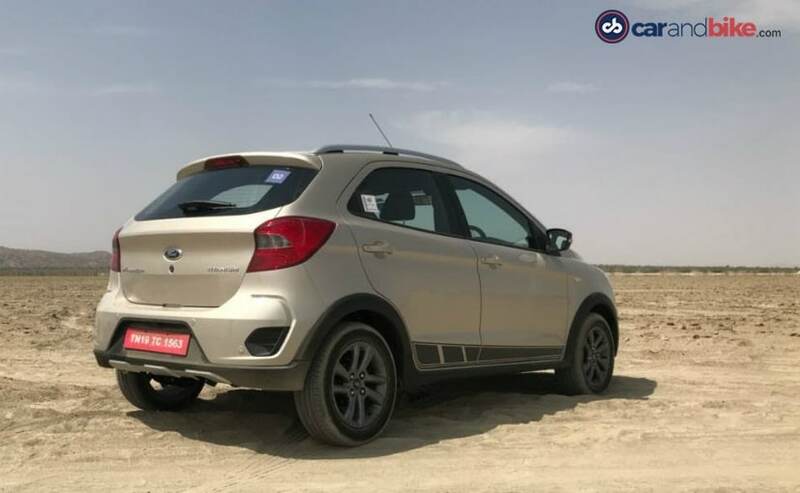 And now, Ford has jumped into the fray with a cross version of its Figo hatchback, albeit with a lot more changes thrown into the mix with the all new Ford Freestyle. So let's start with the way it looks. For starters, the basic shape that the Figo hatchback has continues here with a few changes. You get a different front grille, different bumpers, different side skirts, fender extensions and different alloy wheels. And of course, considering the fact that Ford treats this as a whole new car, there are no Figo badges anywhere - just the new Freestyle badge on the rear boot lid. The new grille is a lot sportier than the one the Figo used to have and gets a gloss black treatment with a nice chunky honeycomb design. The bumper gets two very distinct styling features on both sides (shown in the picture below) and gets a plastic silver skid plate. Strangely though, Ford has skipped the daytime running lights - even on the fully loaded Titanium variant - which is a shame as it would have most certainly helped differentiate the new car to its older brethren. Move to the side and you have the crossover like side plastic claddings on the wheel arch and on the side skirt with a set of new 15-inch split 4-spoke alloy wheels. The wheels have been painted in a shade of dark grey that instantly makes the car look a lot nicer but the design itself is a little polarising overall. There are however some nice design touches up close - like the slightly concave profile or the four notch type design elements between the spokes. You also get a racing stripe decal on the lower section of the doors and luggage racks on the roof that are capable of taking up to 50 kilos in weight. Move around the rear and that same design treatment that the front bumper gets continues here too. The silver painted plastic skid plates, chunky plastic cladding and the plastic faux vents and bumper indentations give it a raised look and the new almost smoked out tail lamps are a nice finishing touch. 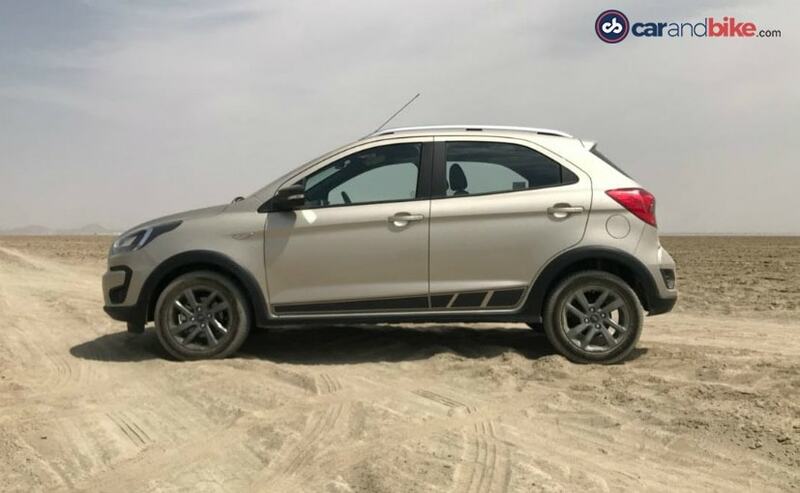 Now, unlike some of the other cross hatchbacks in the country that have just the plastic bits and nothing else to go along with it, the Ford Freestyle also has new suspension bits. So, you get a higher riding car with 190 mm of ground clearance. 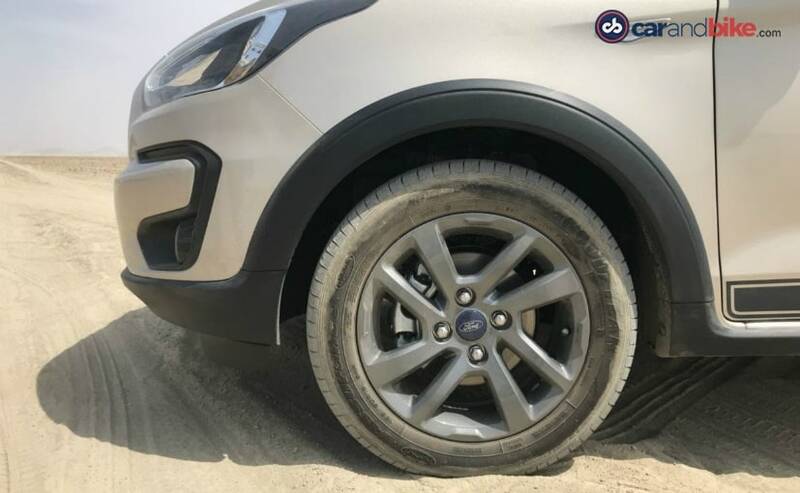 Not only is that a very respectable figure for any hatchback to have, especially considering the horrible roads that we have in most parts of the country but to put that into perspective, the Ecosport's ground clearance is just 10 mm more at 200 mm. In fact, it is due to this upright stance that the Ford Freestyle looks purposeful, almost menacing! But if you do consider one, please do opt for a brighter shade! One of the big reasons the Figo wasn't doing as well as its competitors in India was because of its interiors. And now, Ford has fixed that big Achilles heel by offering what can only be described as an interior package that is 'fully loaded'. For starters, the plain jane black and silver dashboard combination has been replaced by a more vibrant reddish brown dashboard with gloss black accents. It is almost a hark back to that bright red dashboard that was offered on the first generation Figo in India about half a decade ago. And then you have the crown jewel of the Ford range, the infotainment and touchscreen package. The new Ford Freestyle gets the 6-inch touchscreen coupled with the Sync 3 infotainment setup. 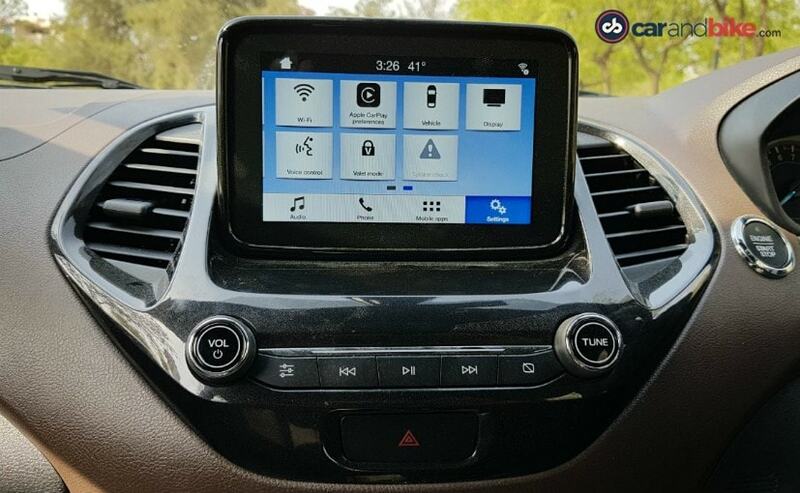 Now although at first glance it does look a little smaller, we think this is more than enough for the little hatchback, especially considering the fact that it is a high quality and most importantly, a high definition touch screen with the best infotainment user interface on any sub 10-lakh car in India today. As with the larger Ecosport, the Freesytle's infotainment system is as fluid and easy (and intuitive) to use as the likes of your Apple or Android smartphone. And yes, it gets both Apple CarPlay and Android Auto too. The Freestyle also gets two USB ports up front, a feature that is always super useful in today's day and age along with other bits and bobs like a start stop button and automatic climate control. 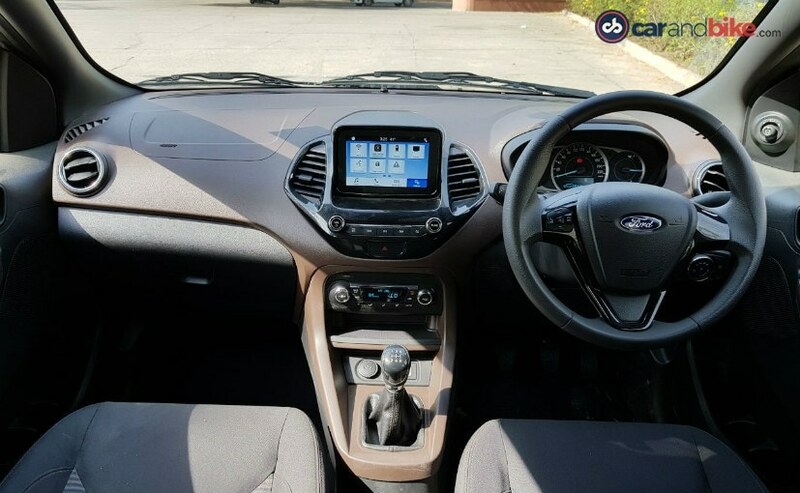 The Ford Freestyle - unlike the EcoSport, also gets a nice instrument cluster with silver accents that really compliment the rest of the dashboard. You also get a TON of storage options, including seven cup and bottle holders for the front passengers between the ones available on the door and the centre console. You also get a small soft-touch shelf just below the climate control and another squarish cubbyhole to store knick-knacks just behind the gear level. Ford has also changed the seat cloth upholstery to a new and more vibrant one. But the most thoughtful bit in the whole car has to be the carpets. Instead of offering standard cloth mats, Ford has instead offered a more durable and certainly a lot easier to maintain modular rubber mat that can be taken out, dirt etc and rinsed easily. The same mat - with Freestyle branding - is also present in the boot. 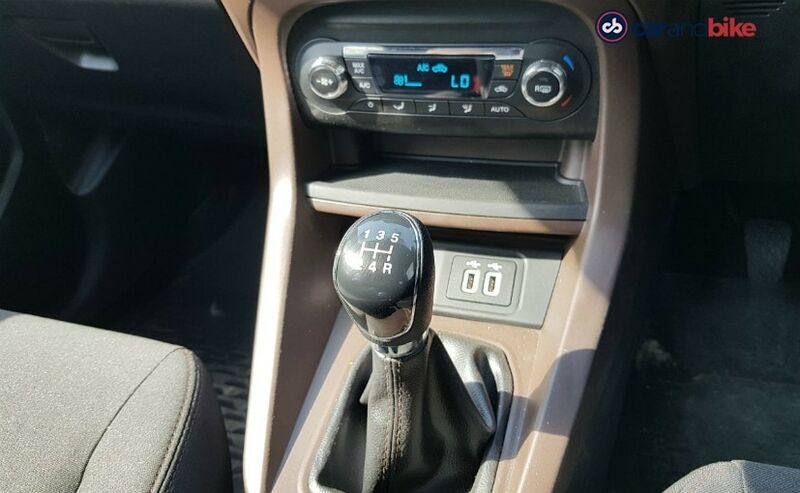 Other small yet thoughtful features include a small hidden storage space inside the dashboard and a digital compass on the infotainment screen. The features continue on the safety front too. Like all other Ford products in India, two airbags and ABS comes as standard along with reverse parking sensors. The Freestyle also gets six airbags on this top spec Titanium variant along with a whole host of safety features. The Freestyle also gets electronic stability control (ESC), active rollover protection (ARP) and for the first time ever in this segment, traction control (TSC). The Freestyle also gets Ford's emergency assistance program that shuts off the pump and shares a GPS location with emergency services. The Ford Freestyle also debuts a new petrol engine. 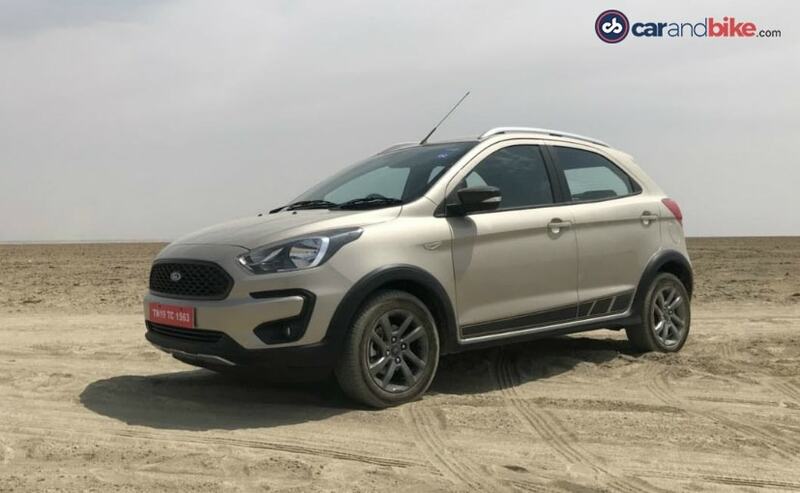 The motor, from the new Dragon engine family (that debuted in 1.5-litre form on the Ecosport last year), is a 1.2-litre unit that makes 95 bhp of peak power and 120 Nm of peak torque. The new engine is a three cylinder unit that is still naturally aspirated (yes, in this era of turbocharged tiny engines, Ford has made a new naturally aspirated motor) that gives a decent fuel efficiency figure of 19 kmpl according to ARAI test results. And the engine is impressive. 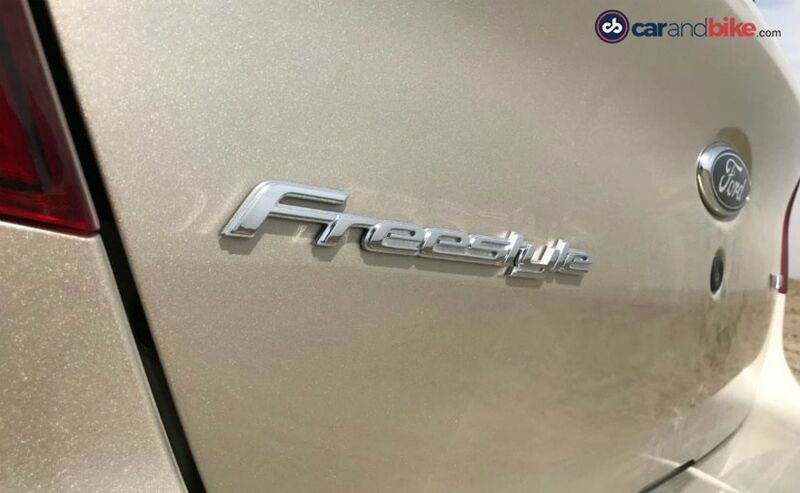 The power on paper translates to the power on tarmac and unlike a lot of the other 1.2-litre engines that miss out on good mid-range power, the Freestyle gets that right. You don't need to shift down all the time in order to overtake a slow moving vehicle and three digit speeds come up in respectable times. The new engine also gets a new gearbox. The petrol is mated to a new 5-speed manual unit that is - for a lack of a better word - just right. Gear shift action is well weighed and the gear lever slots into its place just right. There is a bit of over run between gears sometimes when the engine revs stay higher than expected but that is a must have due to emissions. The new gearbox also comes with a much lighter clutch making start stop traffic a breeze. That said, there isn't an automatic option just yet. 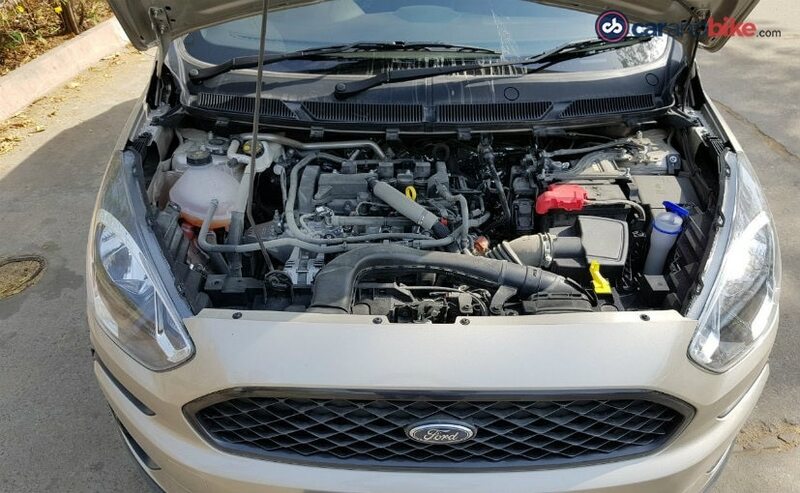 The Ford Freestyle also gets a diesel option with the same 1.5-litre unit that does duty in the EcoSport. The diesel makes 99 bhp of peak power, 215 Nm of peak torque and has a fuel economy rating of 24.4 kmpl. But more on that engine on a later day. 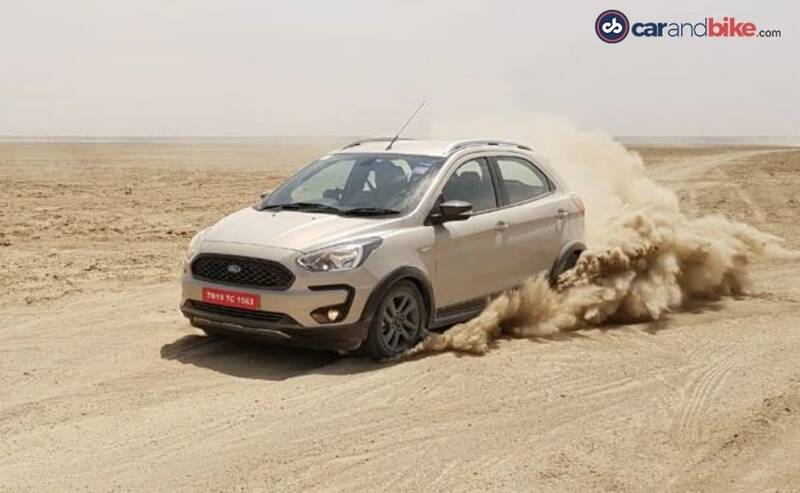 As we mentioned earlier, the Ford Freestyle gets a different suspension setup as compared to its normal hatchback cousin. Now usually, the moment you increase the ride height of a car, suspension finesse usually goes south considering the fact that the centre of gravity is much higher. However, in the Ford Freestyle, this isn't very noticeable. The car still handles remarkably well, possibly the best in its segment although there is a tad bit more roll thrown into the mix now. The Ford Freestyle also gets a little more floaty when it comes to higher speeds, but it isn't to a point where it affects handling. That said, luckily, the direct steering feedback and quick changes in direction that were the signature traits of Fords in the past is very much a feature on the Freestyle too. We spoke about the long list of safety features earlier, including ABS as standard on all variants. And ABS really does help, especially if you intend to drive the Freestyle quick on smaller off beat roads like we tested it on in rural Rajasthan. Brake pedal feedback is on point and although it does dip a bit under braking, the Freestyle is very well behaved. In fact, between the brakes, steering and suspension - even with the raised ride height, the Freestyle is one of the nicest handling cars out there. Pricing for the petrol starts at Rs 5.09 lakh for the base model and going all the way up to Rs 6.49 lakh for the Titanium+ with the diesel ranging between Rs 6.09-7.89 lakh. And to be honest, the car has just one true rival in the Indian market today - the Maruti Suzuki Ignis. The Ignis petrol does undercut the Freestyle when it comes to the petrol variants but is more expensive when comparing diesel. And while the Maruti would have had a clean sweep over most cars in the past, with the Freestyle, Ford finally has a competitor that is cool and funky enough, and has enough tech to take it on.